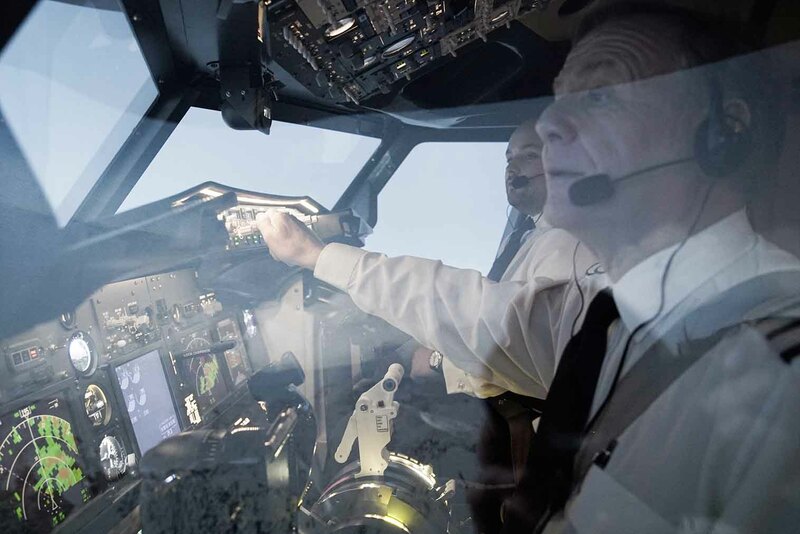 Still trying to make up your mind about a career as an airline pilot? Or perhaps you’re convinced already but just fancy a go in a professional flight simulator set up for a Boeing 737-800NG. The simulator is going to be set up at Blackpool Airport by flight school Westair. Whether you’re a would-be airline pilot or enthusiast, you can take control in the captain’s seat for the full experience of take-off, cruise and landing at international airports. A qualified pilot will be on hand throughout to guide customers through the full flight experience. A variety of bespoke packages are available, from individual flight experiences of 30 minutes to full-day group bookings. The simulator’s passenger cabin can accommodate other members of your flight party and accompanying family and friends can be involved in the full experience with a clear view of what is going on in the flight deck. Daniel May is the man behind the project. He said, “Blackpool Airport was the perfect choice for the launch of the 737Pro. Not only is Blackpool known worldwide for its excellent visitor attractions, Westair runs a successful flying school and has a long and established relationship with Blackpool Airport, making Hangar 8 the ideal location for launching the new simulator.